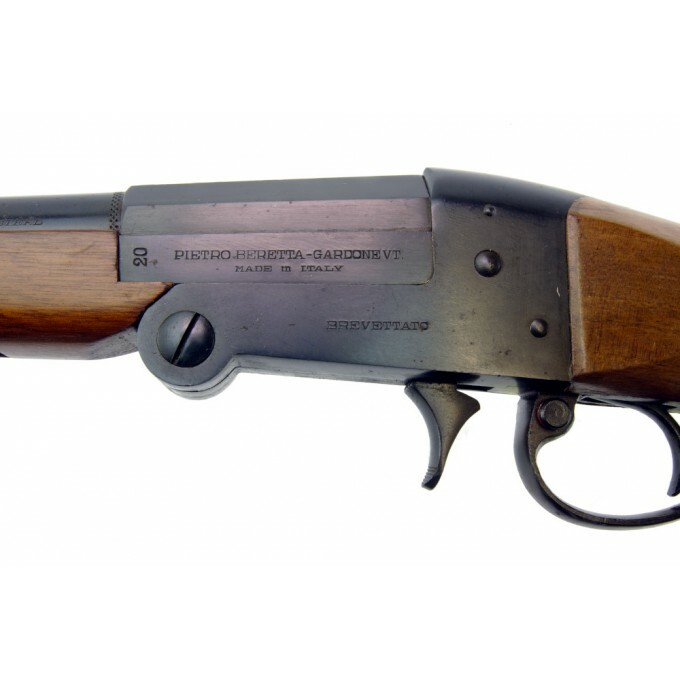 Pietro Beretta single barrel folding shotgun - 20x70 gauge. 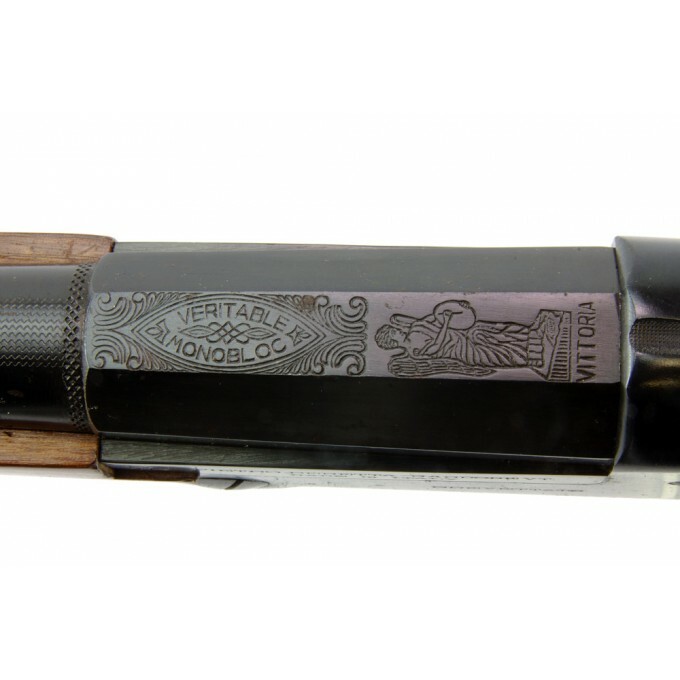 Vittoria model Pietro Beretta single barrel shotgun 20ga. 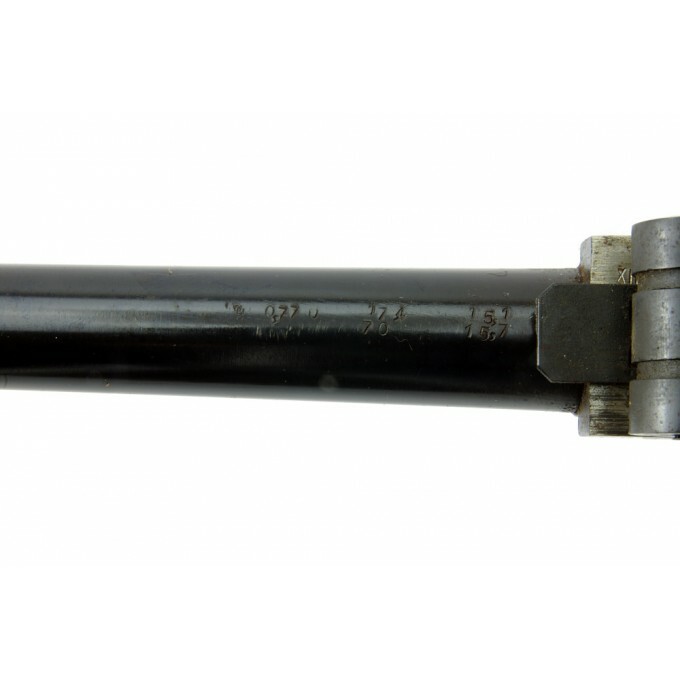 made in 1956. 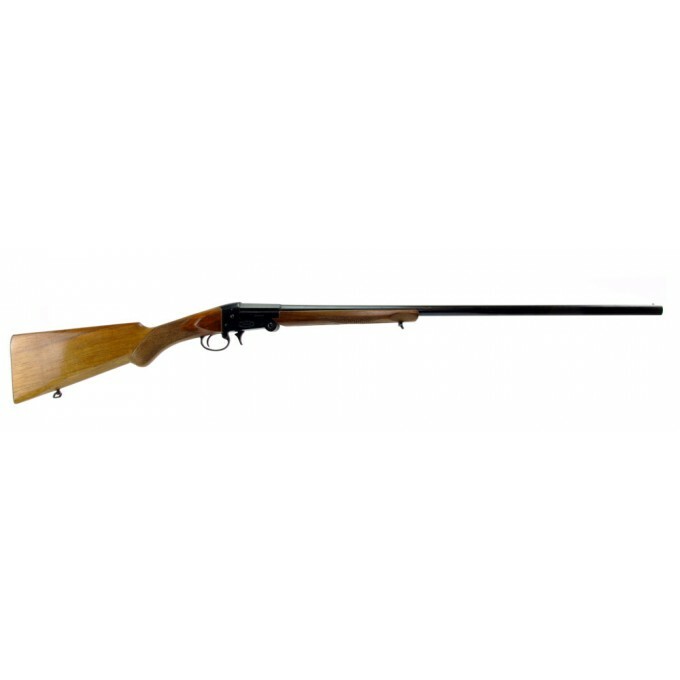 This shotgun has a 70 cm long barrel and chromed bore made with Ausonia Electric Steels. 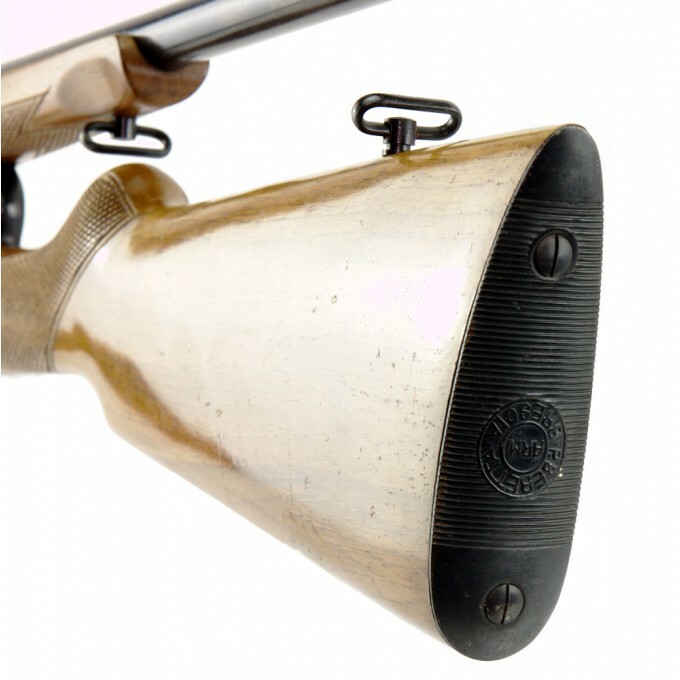 The top of the barrel has a finely checkered antireflection treatment. 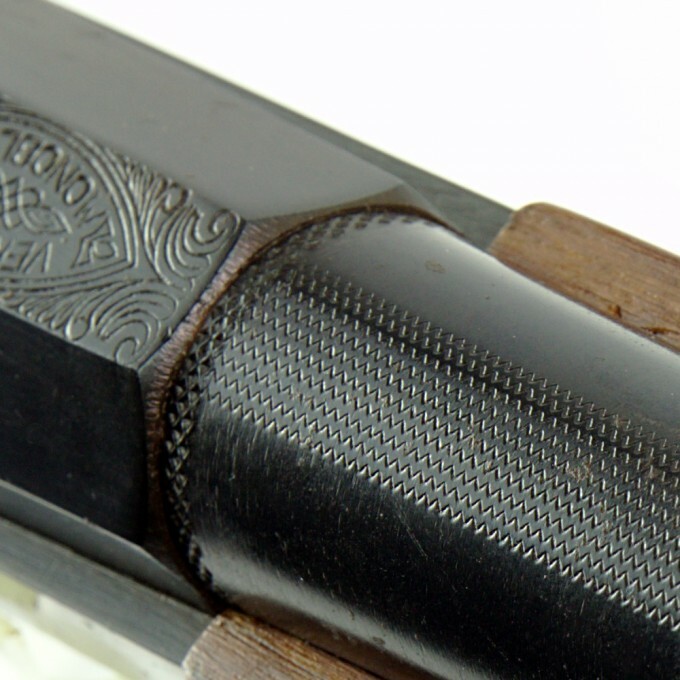 The stock has a semi-pistol grip, with a black bakelite buttplate. 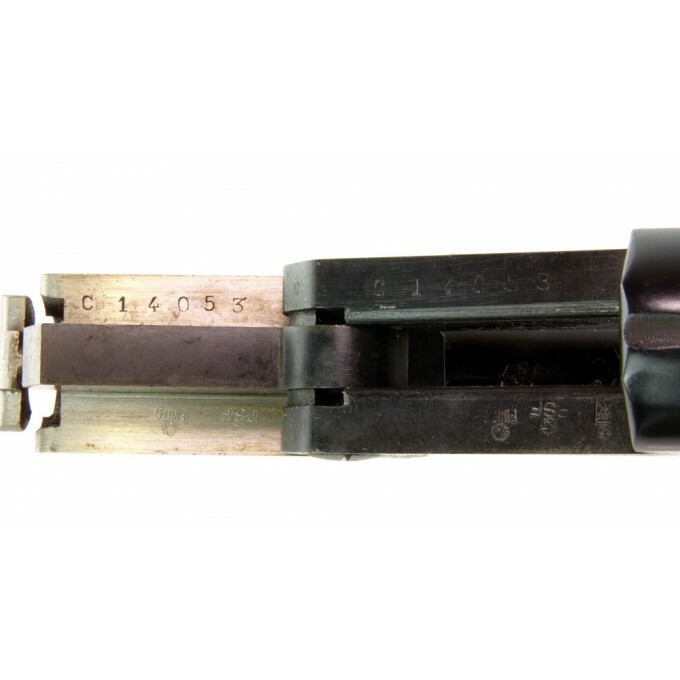 Barrel, receiver and handguard have the same serial number. 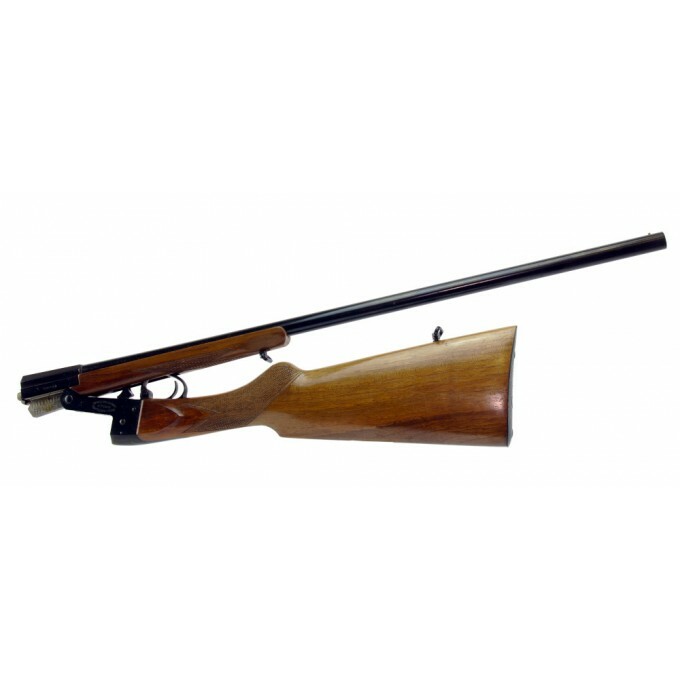 To open the action simply pull back on the opening lever located forward of the trigger guard and the total length goes from 112 to 71 cm. 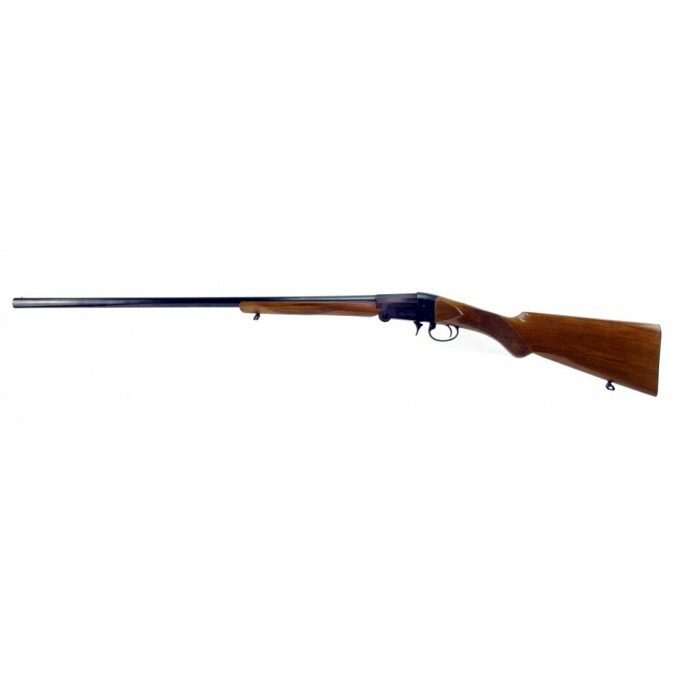 This a very good single owner used shotgun, still in excellent condition. 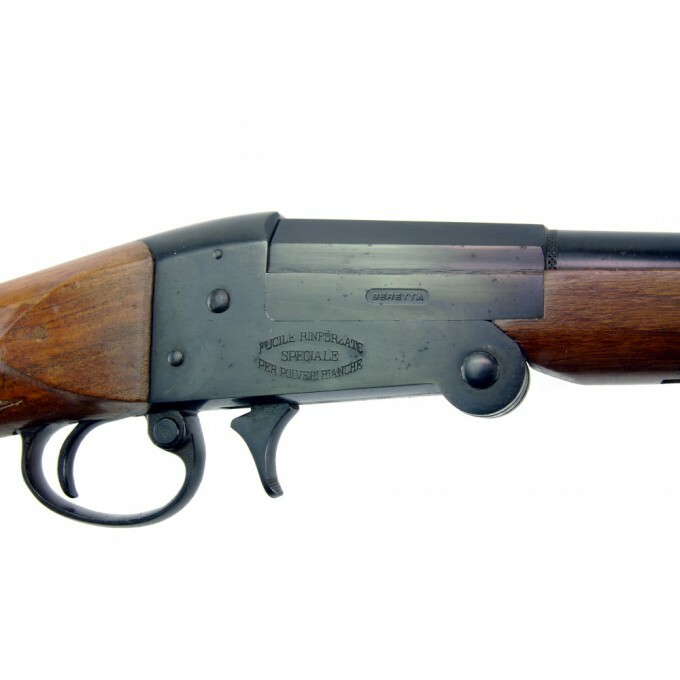 Single barrel folding shotgun, manufactured in 1956.